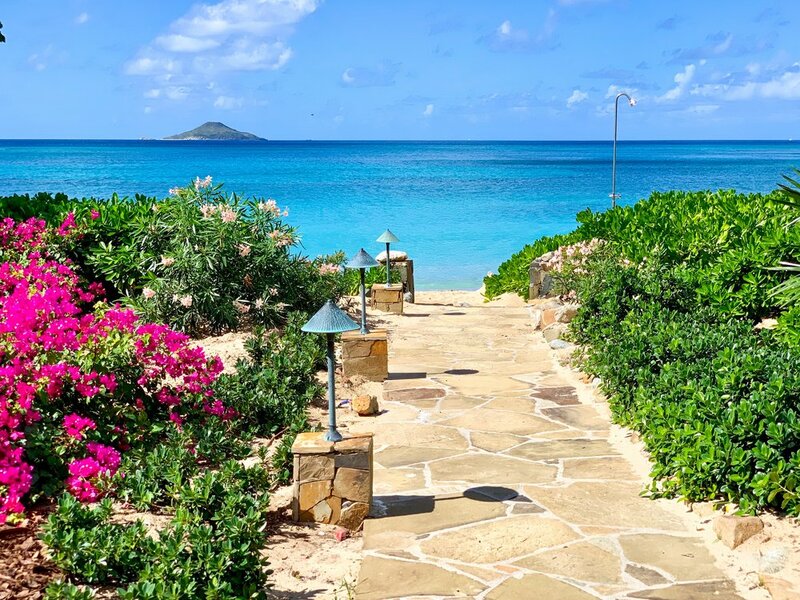 Your secluded beach when you stay in our Mahoe Bay luxury villas. Remote, white sandy beach in a picturesque cove with blue water and access to water sports. This beach is protected by a colorful reef, ideal for snorkeling. This is the less secluded beach in Virgin Gorda due to the Jumbies Bar, The Restaurant, Blue Rush Watersports, Michael Beans, the stores and the pool. You will meet people, have a great time, enjoy delicious drinks by the beach and food too! Quiet, remote, clean and pristine. The water is crystal clear and shallow. The snorkeling is amazing, turtles, squids, corals, and Caribbean fish to discover. This dreamy beach is perfect for snorkeling, chilling at the beach and the ideal spot for a beach bbq. You won't find any road access here as the beach is directly adjacent to private property. The easiest way to get there is trough a trail that is accessible from the north end of Spring Bay Beach or the southern end of Big Trunk Bay aka Valley Trunk Bay. This is a spectacular white sandy beach, bordered by a private estate and vegetation, its palms were swept away due to hurricane Irma. This is the ideal beach for sailors looking for seclusion and a stunning place to spend a lovely afternoon sunning and swimming. It’s safe for children, very secluded, very shallow, the only way to walk in is via a trail that ends in a salt pond. Locals keep the trail clean and accessible for people. Prickly Pear is an uninhabited island of the British Virgin Islands. Situated on the North Sound of Virgin Gorda, this 243-acre island was declared a National Park in 1988. This gorgeous island offers excellent conditions for swimming and snorkeling.